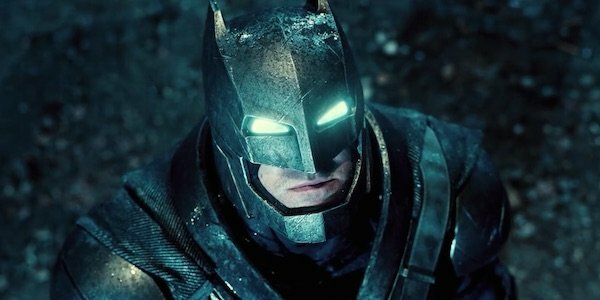 Whatever your view of Zack Snyder’s DC superhero movies, there’s little argument that his particular take on Batman and Superman would qualify as “non-traditional.” One specific way that Snyder broke with previous versions of the character was when he made a version of Batman who had no problem with actually killing people, a line that the character traditionally would not cross in modern films and comics. Snyder’s comments at least make it clear where he was coming from in creating his version of the DC Universe. His earlier film Watchman, and the comic it was based on, argued that if superheroes were real, they would not be the paragon of virtue we’re used to seeing in comic books. Snyder believes this idea so strongly that he carried it over to characters like Batman and Superman. He thinks viewing any sort of hero with that sort of idolization is akin to living in a dream world. Everybody has flaws and that should be understood. While many might agree, the response on Reddit, where Snyder’s comments were posted, is largely negative. Many feel that while a story like Watchmen has its place, Batman is something quite different and should be treated as such. Batman’s decision not to kill his enemies is a key aspect of the character, and if you change it, he’s simply not Batman anymore. Of course, there’s really no right answer to questions like these. There will always be fans of the traditional view of any character with a history as long as the one Batman has. Changes and new interpretations will always happen, but exactly what aspects of the character are immutable won’t always be agreed upon. A Batman willing to kill certainly opens up interesting ideas to be explored that wouldn’t be there with a more traditional iteration of the character. What do you think about Zack Snyder’s perspective on Batman? Let us know in the poll below.